Espresso a Mano Hats are in! I am really excited to announce that the hats that I designed for Espresso a Mano, a local coffee shop in Pittsburgh, are in! When the owner approached me a while back, I was really excited at the opportunity. I wanted to do something a little different from simply placing their logo on a hat and calling it a day. While thinking up concepts, I thought, "What do people like to wear?" and "What would I want to wear?" After some brainstorming I thought a nice simple solution could be to design a monogram of the shop's initials, EAM. I played with the letterforms and sketched out different ideas, exploring all the ways that the letterforms could intertwine and work together to form something visually pleasing. The above image shows the result. I wanted the hat to still be associated with the shop, but make you think a little first. I wanted people to see the hat and think, "Whoa! That's a cool hat. who makes that?" With a little more work, you see the little pointy-nosed, hat-wearing gentleman associated with the shop, hiding on the back of the hat. 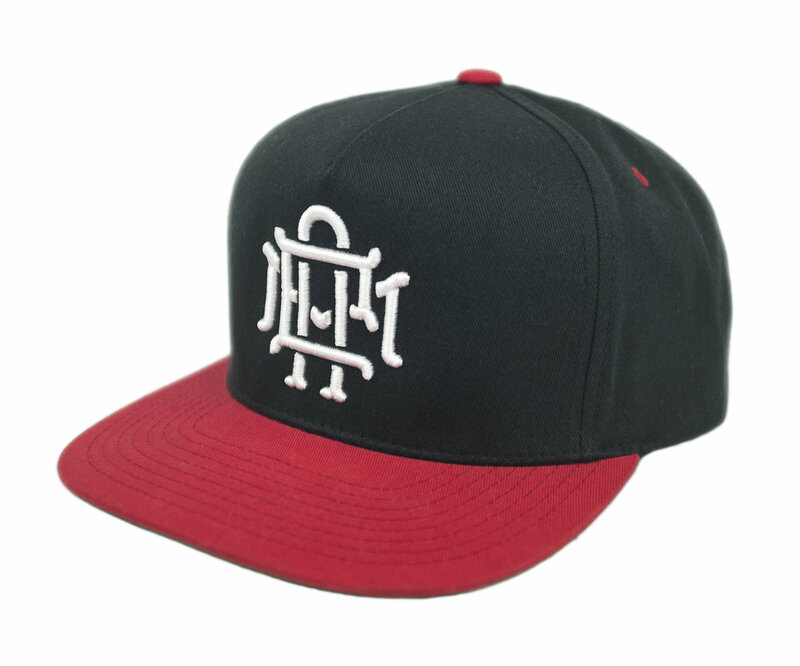 The hats are Black and Red Yupoong - Classic Flat Bill Snapback Caps and were embroidered by Clockwise Tees. If you like that hats and want to pick one up, you can purchase them at Espresso a Mano, located on Butler Street in Lower-Lawrencville in Pittsburgh, PA. You can view the project page here.